What have driverless cars got to do with sewers? More than it might seem at first. In this months blog, our Technical Director, Paul Dickenson talks cars, sewers, networks and data. Recently, I attended an “Urban Jam” event organised by Innovate UK and hosted by Digital Greenwich. It was a great opportunity to meet like-minded technologists, innovators and entrepreneurs. We discovered opportunities for collaborations – some obvious, some very much less so – and even cooked up a few new business ideas. I’ll share more about those in the future but for now I’d like to take a look at a subject raised by a number of contributors at the event; driverless cars. In particular, let’s consider the potentially significant and, for me at least, surprising, implications of autonomous vehicles for data networks in years to come. Driverless cars are already here. Google has conducted much-publicised trials in California and Tesla has sold thousands of cars equipped with automation, albeit still requiring a driver behind the wheel. For now, these cars are a rarity and predominantly interact with an environment designed for vehicles piloted by humans. They are the aliens. But soon driverless cars will they become the dominant species, modifying the habitat to suit their needs. One of the most profound changes looks set to be greatly increased data traffic, especially in urban areas. Why do driverless cars demand data? The answer is part necessity and part opportunity. 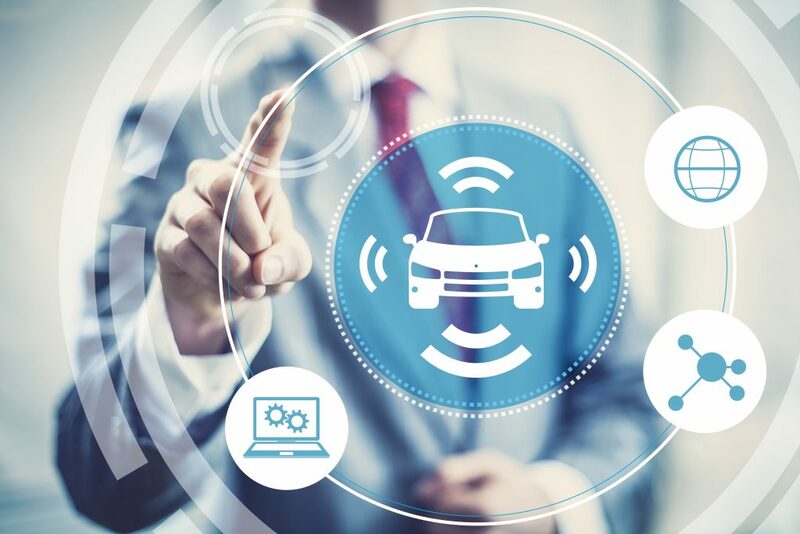 Once autonomous vehicles become the majority, it makes sense for them to interact via data in addition to observation of movement and location. This exchange of data may be used for collision avoidance, route finding and network optimisation. Beyond this necessity for data exchange between vehicles, there exists an opportunity for them to interact with smart infrastructure, whether providing input to traffic light phasing, managing the load on bridges or actively responding to planned street works. These all offer the opportunity to decrease congestion and improve traffic flows but in turn drive demands for data connectivity. There exists a third, perhaps ironic data demand from driverless cars; humans. Freed from the need to steer the vehicle, human occupants will require entertainment and the opportunity to conduct business. Cars may become entertainment spaces or mobile meeting rooms with data needs to suit. How will we service these demands for data connectivity? The default answer is to use the existing mobile cellular network but this is already overloaded in key urban areas. Instead the solution will be to install systems known as small-cell networks throughout areas of high demand. These can be thought of as a series of overlapping wi-fi hotspots, each covering an area of just a few tens of metres with receivers configured to rapidly switch as a vehicle moves between them. When installed, for example, on street lights within an area, these small-cell networks can future-proof for the growing demands of autonomous vehicles. Small-cell networks are only half the story. We must also connect each transmitter to the wider network, requiring a lot of additional optical fibre. Installing this to every street light using conventional techniques would encounter significant economic, social and regulatory resistance. Instead we must make best use of the in-situ infrastructure such as existing fibre networks and also installation within existing conduits. A prime example of such conduits is the wastewater network. Careful placement of optical fibre within sewers offers the opportunity to connect small-cell networks and service the needs of driverless cars along with other data demands. The fibre must be deployed in a way that is compatible with, and preferably enhances, existing sewer operations. At nuron we are developing continuous fibre optic sewer monitoring with the added benefit of cost-effective networking, fully compliant with conventional sewer usage. There we have it; a potentially significant, if unexpected, link between driverless cars, data, and sewers.